The hard Duralumin body, rotor and side plate used in these reels provides both an extremely strong yet surprisingly lightweight reel with the 2000 size weighing just 280gms. 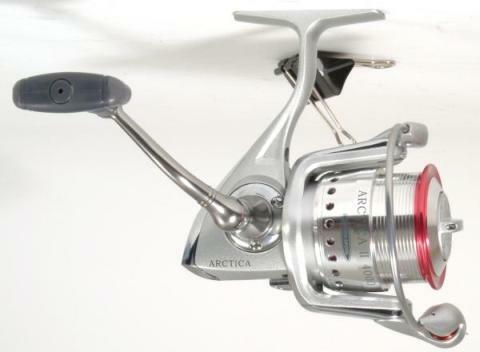 Arctica reels are available in six spin reel sizes and also a 4000 Match size. The Arctica reels combine high speed gear ratios and Ryobis wobble-free rotor system for super smooth operation. 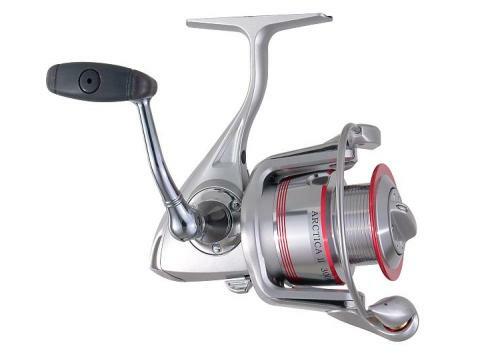 All Ryobi Arctica reels receive anti-corrosion treatments which make them ideal for a variety of applications whether you are fishing saltwater or freshwater.To further eliminate any possible corrosion problems Ryobi uses stainless steel external screws and the main shaft is also made of high grade stainless steel. The precision made gears are brass and helix and provide long wearing and ultra smooth performance. Added to this impressive list of features is the precisely cut CNC machined crank handle that is fitted with a soft knob for comfort.